Updated Thursday June 19, 2014 by Hamilton Football Association. All kids dream of putting on the BLACK and GOLD of the hometown Hamilton Tiger Cats. Now your child can experience the opportunity to represent Hamilton as a member of the Hamilton Jr. Tiger-cats. (New minor fall programming both house league and rep is now Jr Ticats name). As a result of our recent $118,000 trillium grant, HFA received 386 new helmets for the 2014 season with more coming in 2015. Also our Hamilton Football Association safe contact CANADA wide led initiative has resulted in all our head coaches getting Football Canada certified and trained in new safe contact coaching methods. Unfortunately the result for some of our previous coaches that did not complete the training, we sadly have had to ask a few to step back from previous head coaching roles. We did request and hope they stay on as part of existing coaching staff and our HFA family. We are aware you may have choices for youth football in Hamilton. 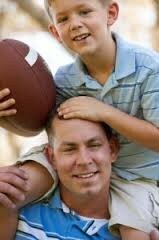 We also understand deciding on the best football experience for your child has many factors. Our commitment to educate, train, develop our coaches to keep your children safe is second to none. Please visit the new website www.jrtcats.com for more details on the HFA football experience. As numbers allow, the new HFA fall program will field Triple A, Double A and Minor Development (MD/ house league) teams for the fall. This season is shaping up to be the biggest season yet in Hamilton. With games scheduled to be played at the new 'Tim Horton's Field' all players will truly feel they will be "PLAYING LIKE THE PROS". Any additional games will be played at HFA's dedicated football facility, McCrae Fields. All teams will practice at facilities located in Hamilton through September, then move to lighted turf fields at Heritage Green, Cardinal Newman High School, Bishop Ryan High School and St. Thomas More High School, as well as the new Tim Horton's stadium field for practise as well. Registration can be done online by visiting www.jrticats.com.